Need to save money when shopping at grocery stores or at online shops? How to save money could be your typical question when you have lots of groceries and other items to buy for your family’s consumption. Money budgeting is essential to cover all of your household expenses. There are likely lots of household essentials that need to be bought as they are necessary to cover your family basic needs. The first thing that may come into your mind in order for you to save money on your groceries is to use coupons. When you are shopping for a particular item that is likely expensive, using coupons for that product could help you save money and stretch your budget to cover everything that you want to purchase. Just imagine how many items you could buy by using the money you had saved by using of coupon. Surely, you would enjoy shopping and it would save you stress from buying items that you want. 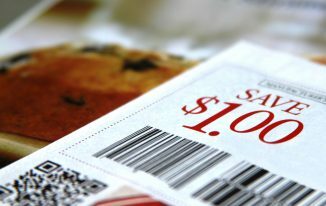 When combined with sale, coupons could generally save you big bucks of money even if it is a small item that you would buy. Why do you use coupons? Perhaps your reason for using coupons is to help you try new products without the risks of wasting your money when you find it undesirable. Many people use coupons for the reason of trying new products for an affordable price. For instance, they want to try new all-purpose cleaner, they could try it without spending a lot of money. 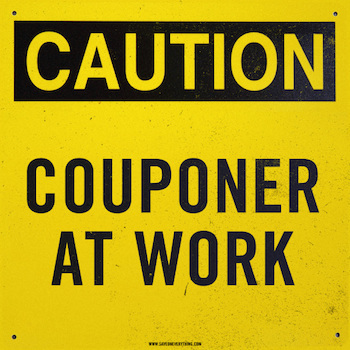 Coupons also help grocery shoppers to get several goods for free. One could get free items such as toiletries by combining coupons with a sale. In addition, coupons also help you manage your food costs. There are certain coupons for your basic needs such as food. This is typically offered to those canned goods, packed and frozen foods you could buy in grocery stores. It leaves you more room for your budget on grass-fed meat and locally-grown fresh and whole foods. In addition to paper products, food, and personal care coupons, there is also some that is offered for clothing stores, local services, and restaurants. This allows you to treat yourself or your love ones to various restaurants without spending a great deal of money. Hence, coupons for local services are greatly beneficial when you need to fix things in your household even if you are currently financially challenged. With coupons, you get what you need and save at the same time. Further, it could also make splurges greatly affordable. When you want to buy products or items that are very expensive such as a branded bags or shoes, coupons could help you afford them. It generally cut the cost of the product that you want to buy and give you the pleasure of enjoying the things you want to shop. There are several sources of coupons. The very common of these are the newspaper inserts and the printable ones available online. They could also be found at the free coupon booklets that are offered at the front of a certain grocery store or in your mail, store flyers and those that can be found inside a product. 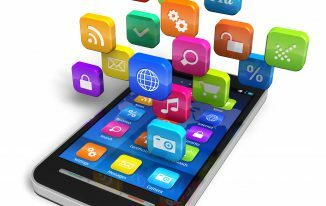 People could also avail coupons by browsing the internet and visiting websites that offer coupons and print it at their homes. There are some grocery stores that accept several coupons for their stocks and people could get use this opportunity to avail more products at very affordable prices. The economy nowadays makes people find it hard to manage their household expenses. However, they could be benefited by the use of coupons as it helps them manage their budget. House moms have nothing to worry about stretching their family budget to cover all of their necessary expenses with the use of coupon clipping. This is a great alternative for tough times when they need to purchase items for their household needs. In fact, there are many companies and stores that offer coupon to attract customers to buy their products. 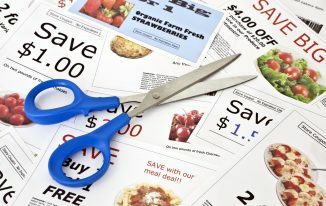 Grocery shopping could not be that stressful by giving time to search, print, and cut and file several coupons that you would need before heading into the grocery store.